UPF 50+ Eclipse Sun Sleeves feature high performance 37.5 fabric technology. This higher performance fabric offers unrivaled sun protection, moisture control and cooling. 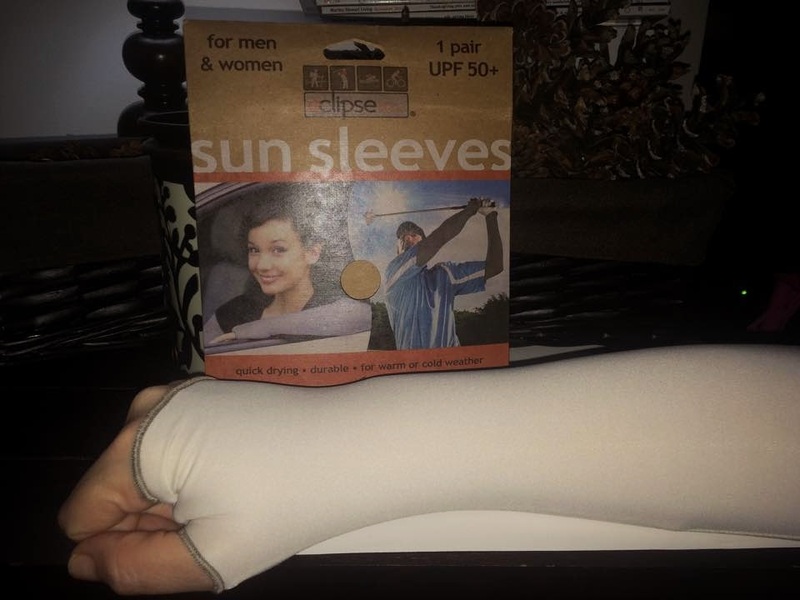 The sleeves are designed to cover the back of the hands, which are particularly vulnerable to sun exposure. They stay up your arm by virtue of the spandex component (87% Cocona/13% spandex) so even a vigorous golf swing won't cause them to sag. Zero-distraction fit under golf and cycling gloves, or roll the hand covering up to the wrist. The stretchy fabric allows a lot of latitude in sizing, so if your style is active, consider a smaller size for a more snug fit. I LOVE this idea so much! I have very fair skin and anytime I go to an all day event like a baseball game, a day at the beach, hiking or fishing, I get very sunburned no matter how much sunscreen I apply and this is the perfect solution. I was unsure about how I was going to like having a full sleeve on but it is very comfortable and not hot at all. I feel more confident sitting at the ballgame all day and not coming home at night burnt and sick from sun poisoning. I can see how this would be very useful for anyone exposed to the hot sun all day. I want to get more in different colors! I love the colors these come in!